Super Bowl Swimming Pool Party! Super Bowl weekend is here along with some nice weather to enjoy this coming Sunday. Although the game does not come on until the evening, we are confident that many will be enjoying the outdoors all day. Here, we are going to discuss some of the best ways to turn your pool patio into an entertainment area for those times, like The Super Bowl. Decorate, decorate and decorate. Decorations allow for you to personalize each party and occasion. For The Super Bowl, it is all about some friendly competition. Showcase both teams and allow for everyone to have something to enjoy. Whether blue and yellow or red and blue, colors are a great way to add fun to a theme in so many ways in within your budget. Taking your outdoor occasions to the next level can easily be done so by adding a tiki bar or outdoor kitchen! This is just another feature to enjoy in your own backyard paradise. For family gatherings, enjoy being able to serve food and beverages in one easy location. It’s a great gathering area and easy to decorate. A good party can be great if there are awesome food options. Lots and lots of delicious, indulgent, cheesy and greasy food is what we typically think of for Super Bowl Sunday. (YUM!) Enjoy your pool area with an awesome grill (in that amazing outdoor kitchen) that allows you to enjoy so many different food variations. Get creative or go simple, whichever way your guests are sure to enjoy and leave with a happy, full stomach. The best thing about having a pool in your backyard is that you have the ability to transform the environment into whatever you want and provide something enjoyable for everyone. At Treasure Pools, we love the fact that we are able to help homeowners create so many great memories for many years. Let your swimming pool put that extra something special into your party. 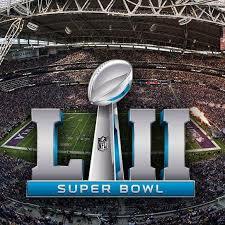 So now the real question, which team are you hoping wins this Super Bowl?